There are a lot of tools available for doing things with information that’s presented in standard feed format (RSS or Atom usually). 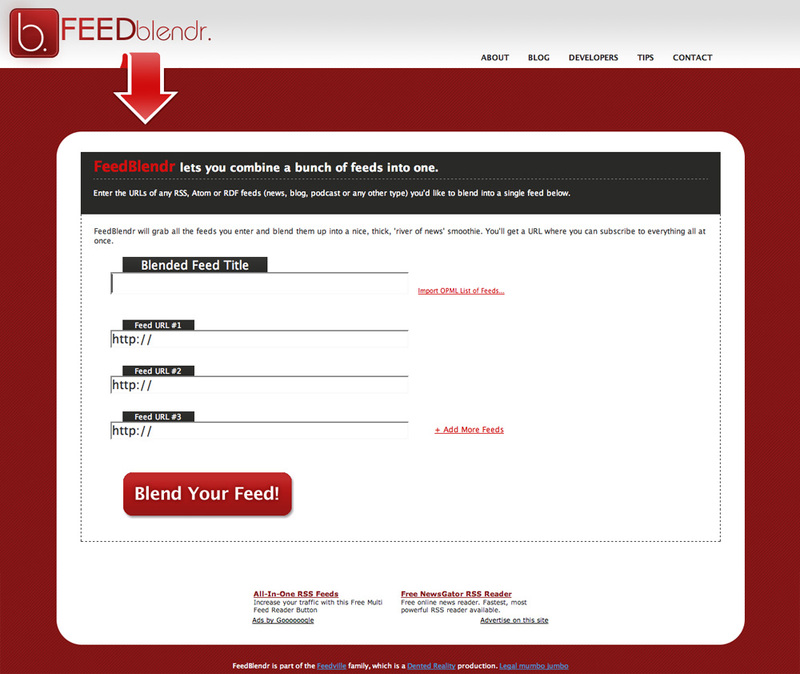 FeedBlendr was created to give you a simple way to blend multiple source feeds into a single, combined feed. Then you could take that feed and use it in any of the other tools out there. The first version of FeedBlendr was written basically in one weekend, making use of open source code libraries. I used MagpieRSS to parse feeds, and FeedCreator to produce the output feeds. This provided a very quick way to get a simple version of what I wanted online. Although that version met the needs of a lot of people, it had a few critical shortcomings. The biggest one was that it didn’t handle custom (namespaced) XML elements very well (at all). This meant that cool extensions like MediaRSS and GeoRSS would be stripped out and not appear in the blended feed, which wasn’t much good if that’s what you were hoping to use it for. It also meant that podcasts wouldn’t work (enclosures weren’t supported) and generally meant a lot less flexibility with the system. Version 2 of FeedBlendr was a complete re-write. I started from scratch and wrote my own custom XML parser and translator which allowed me to normalize all input feeds to the same format, and also allowed me to handle any and every namespaced/custom XML element within each item in the feed. Serialized PHP for server-side inclusion in remote apps. 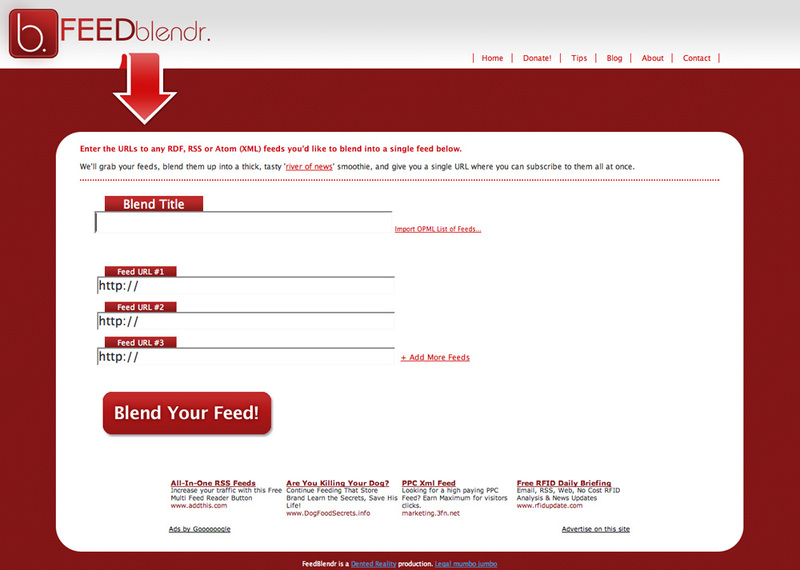 Unfortunately the hosting costs of FeedBlendr got too high, and it was shut down in June 2008. If you have any questions or other enquiries about it, please feel free to contact me.